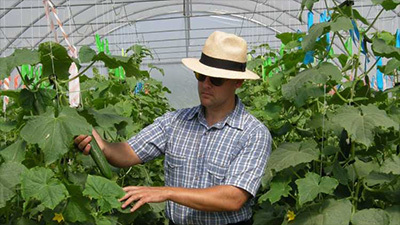 High tunnels for winter greens – Cornell Vegetable Specialist Judson Reid used a Northeast SARE grant to research and document pest and disease management in high tunnels using biological controls and biorational pesticides on winter crops like spinach, kale, pak-choi, chard, and mustard. Target pests included caterpillars, slugs, aphids, and thrips, and diseases like downy mildew and rot. Reid and his research team also looked at varietal susceptibility to these disease and insect pressures. Twenty growers agreed to take part in a case-study component designed to build their scouting, pest identification, and cultural control skills through regular contact with the project team; this contact also helped farmers understand action thresholds and how to use cultural control strategies with more precision. This one-to-one interaction had real impact—as one farmer in Allegany County put it, “The regular contact with Cornell Cooperative Extension project personnel gave me access to a great resource—someone who was always willing to discuss all ag-related questions.” Read more. Analyze this: Professional development for berry production – The rising cost of inputs and the environmental impacts of fertilizers provide new impetus for taking a whole-farm approach to berry crop nutrient and soil management. 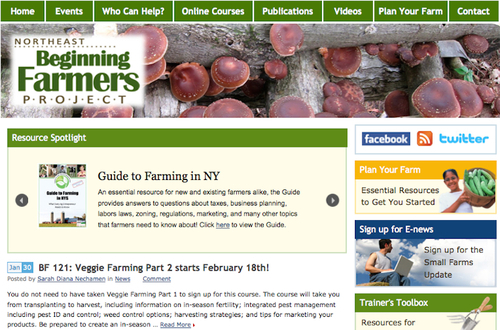 However, agricultural service providers, who are frequently on the front line for advice and assistance with berry crop soil and nutrient problems, often feel ill-equipped to address farmer concerns and promote beneficial practices; no single, comprehensive resource on this topic has been available for either educators or growers. This two-year project, led by Dr. Marvin Pritts, Cornell University small fruit horticulturalist and berry crop nutrition specialist, aimed to bridge this gap by training a cadre of 50 educators across the Northeast. 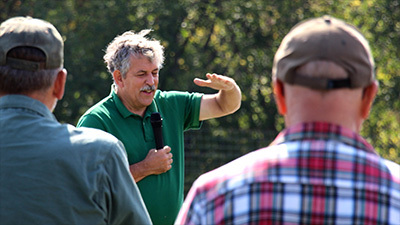 The performance target was that 15 educators would develop and deliver outreach programs reaching 150 berry growers who manage a total of 750 acres of berry crops, with 50 growers going on to conduct soil, nutrient, and soil health testing; these growers would get one-on-one help interpreting test results, and would implement analysis-based fertilization and soil health management practices on their farms. Read more. Last year, the Cornell Garden-Based Learning Program awarded eight ‘Small is Beautiful’ mini-grants of $250 to $400 to garden projects across the state. 4-H teens in Chenango County learned to wire, plumb and balance nutrients building an aeroponic growing system. Junior Master Gardeners in Columbia/Greene Counties learned about plants, soil, biodiversity and vegetables in nine 3′ x 3′ raised be vegetable gardens. In Putnam County, raised bed gardens were built at five childcare facilities and CCE staff and volunteers trained childcare staff on growing vegetables and engaging children in gardening. 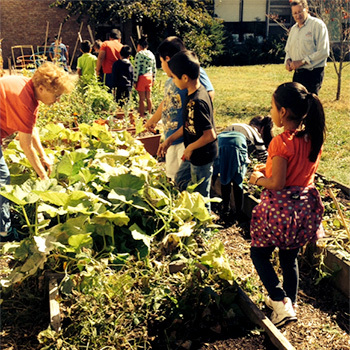 Master Gardener and Rise Volunteers established a native plants pollination garden and compost project involving 450 students and six teachers. In Schenectady County RISE Volunteers, Master Gardener Volunteers and Roots ‘n’ Wisdom youth contributed to construction of and inter-generational demonstration garden. Sullivan County started a Junior Master Gardener Program. Youth gave a public vermiculture (composting with worms) presentation. In Tompkins County, three new garden boxes were constructed and planted with perennial herbs to attract pollinators and add flavor to After-School Garden Club meals. The 4-H gardening club in Yates County planned, built and planted two garden beds. Harvests were cooked at home to engage families. Dreer seminar video: Cool season viticulture in N.Z. If you missed 2013 Frederick Dreer Award Winner Lindsay Jordan’s (MS ’14) seminar Cool season viticulture in New Zealand last week, it’s available online. The Frederick Dreer Award, administered by the Horticulture Section of the School of Integrative Plant Science, offers wonderful opportunity for one or more students to spend 4 months to up to a year abroad pursuing his or her interests related to horticulture. See the application and instructions that spells out the procedure for applying. The current cycle’s deadline is March 2, 2015. 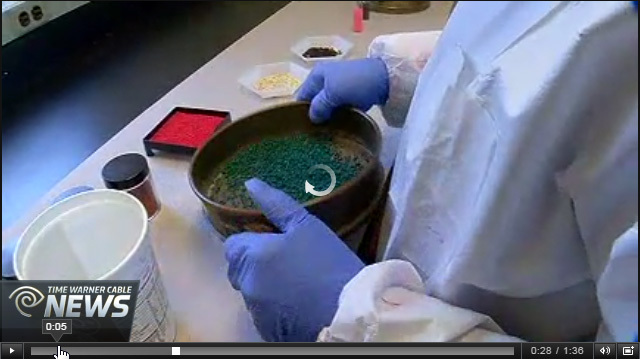 If you missed it last week, Alan Taylor was featured on a Growing Green segment on Time-Warner Cable News: How Can You Protect Your Seeds from Diseases? Taylor is a professor in the Horticulture Section based at the New York State Agricultural Experiment Station in Geneva. “What the seed treatment would do is it would protect the seed from an attack by an insect or disease. It would be a particular material or agent that’s applied to seeds to go ahead and protect them,” said Taylor. 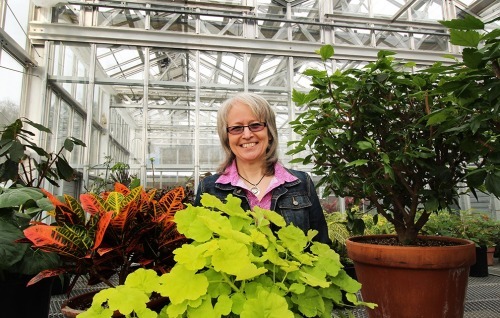 Rhoda Maurer from Geneva, NY has been named Director of Horticulture at Cornell Plantations beginning February 1, 2015. Prior to joining Plantations, she managed the grounds and greenhouses of Cornell University’s NY State Agriculture Experiment Station in Geneva, NY. 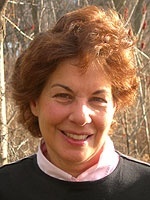 Before her tenure at Cornell, Maurer was the assistant curator at the Scott Arboretum of Swarthmore College, and has held other positions at The Elisabeth C. Miller Botanical Garden in Seattle, Washington, and the Royal Horticulture Society’s Wisley Garden in the United Kingdom. Looking for an internship? Deadlines loom. Find more opportunities — on farms, in greenhouses and labs, at public gardens and more, in Ithaca and around the world — on the Horticulture internships blog. A well-established agricultural outreach effort run by Cornell University is taking on a new mission designed in part to help returning veterans find futures in farming, thanks to a grant announced today by the U.S. Department of Agriculture. The Northeast Beginning Farmer Project, part of the Cornell Small Farms Program, was awarded $712,500 through the National Institute of Food and Agriculture’s Beginning Farmer and Rancher Development Program. The money will be used to create community-based training programs and farmer-to-farmer networks to support what organizers call two underserved groups – military veterans and “advanced beginners” who have been farming from four to seven years. Rangarajan said the federal funds – to be supported by another $218,000 from the Local Economies Project of the New World Foundation and $100,000 from the New York Farm Viability Institute – will be used to create new communications tools and educational strategies to attract and keep military veterans in farming. She and her team plan to create a permanent, statewide network linking veterans and their service providers to agricultural support resources. The program’s organizers also hope to develop and demonstrate new educational approaches to get veterans interested in farming. Nina Bassuk, professor of horticulture; Marie Caudill, professor in the Division of Nutritional Sciences; and Rajit Manohar, professor of electrical and computer engineering, are the newest recipients of Stephen H. Weiss Presidential Fellowships in recognition of their teaching of undergraduate students. President David Skorton announced the Weiss fellows Jan. 30 at a meeting of the Cornell Board of Trustees. Bassuk, who marked her 34th year at Cornell in 2014, is known for her innovative teaching and for having a profound and lasting influence on her students. Her two-course series Creating the Urban Eden incorporates not only a 300-acre campus as an extended classroom but several resources developed in her research on enhancing the functions of plants and trees in urban ecosystems. These include a textbook, “Trees in the Urban Landscape: Site Assessment, Design and Installation” (2004); a “Plant by Phone” service with her recorded descriptions of trees and plants; and a Campus Tree Identification mobile phone app with information on more than 200 plant species. Bassuk brings tools, plants and soil samples into the classroom but ensures that much of her students’ learning occurs outdoors, leading them on weekly “plant walks” on campus and joining them in horticultural projects. She has enabled students across the university to understand the natural world and what it takes to be successful environmental stewards, adapting her teaching style to students’ individual needs. 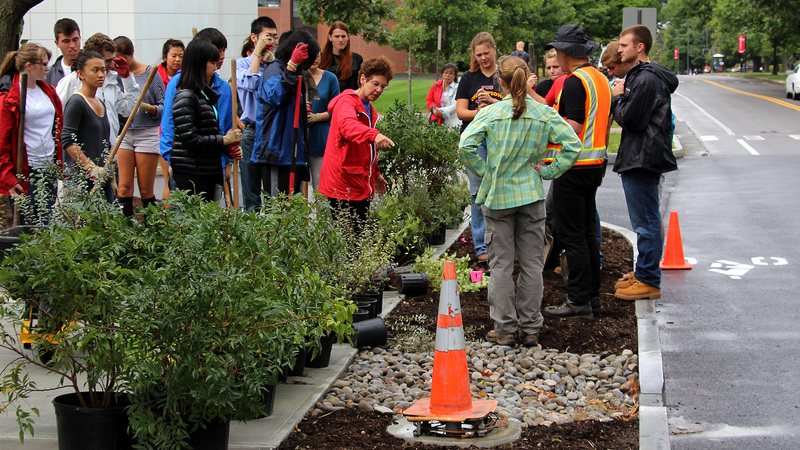 Bassuk instructs ‘Urban Eden’ students before planting Tower Rd. bioswale, September 2014.